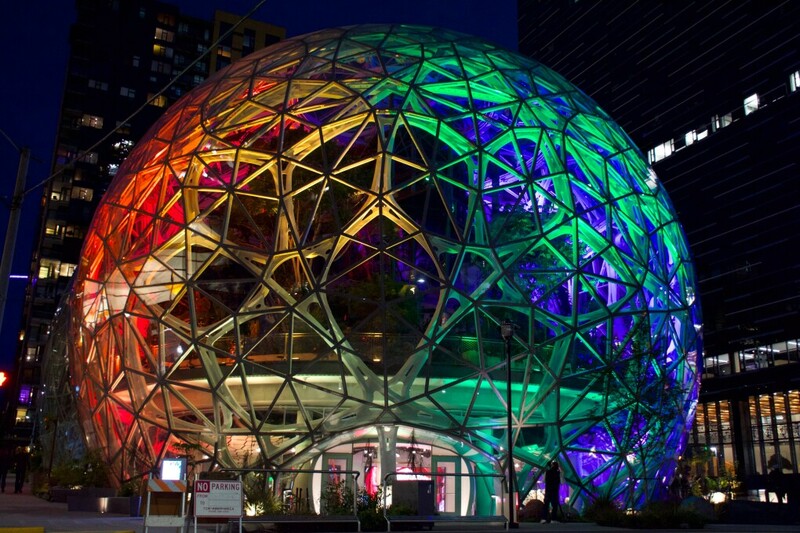 The raising of the LGBTQ Pride flag and the lighting of the Seattle Spheres kicks off a month of events at Amazon facilities around the world. Click any photo to launch a full-screen gallery experience. The LGBTQ Pride flag flying high between the Doppler building and the Amazon Meeting Center at Amazon HQ in Seattle, WA. 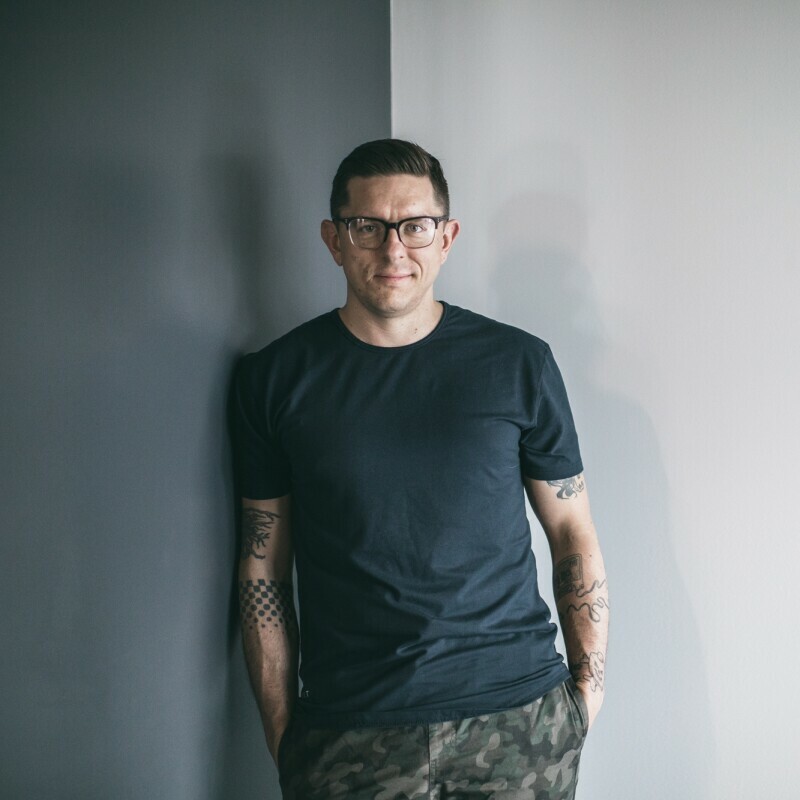 Photo taken on June 1, 2018. The Seattle Spheres in Seattle, WA awash in rainbow colors to mark LGBTQ Pride month in June. Photo taken on June 1, 2018. 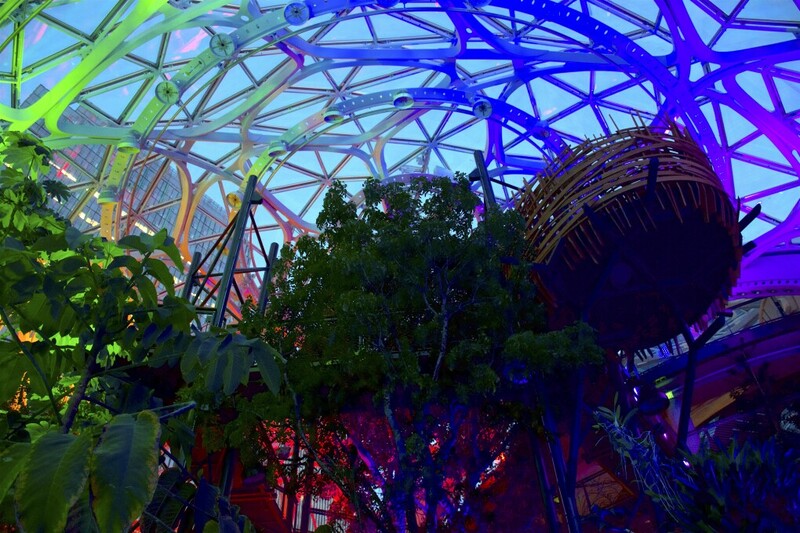 The Seattle Spheres at Amazon HQ in Seattle, WA, and the 40,000 plants inside, are awash in rainbow colors to mark LGBTQ Pride month in June. 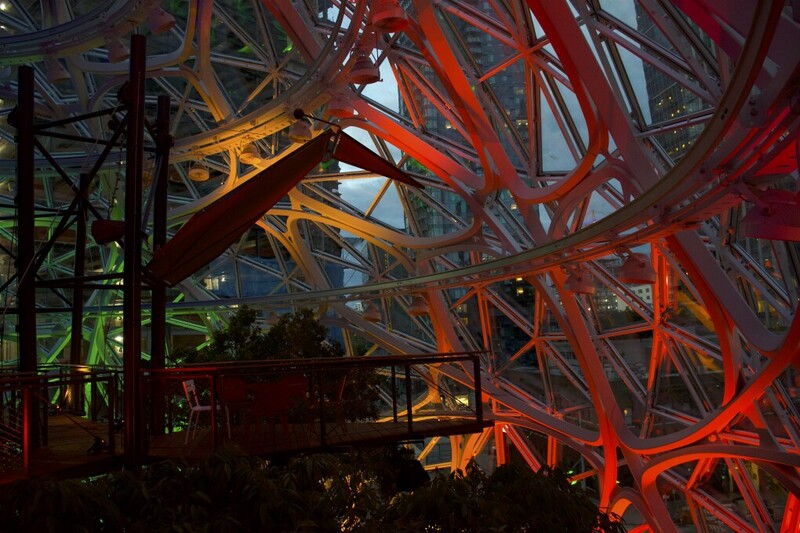 The Seattle Spheres in Seattle, WA awash in rainbow colors to mark LGBTQ Pride month in June. Head of Global Diversity and Inclusion Latasha Gillespie speaks at the LGBTQ Pride flag raising ceremony on June 1, 2018 at Amazon HQ in Seattle, WA. The LGBTQ Pride flag flying above Amazon HQ in Seattle, WA to mark LGBTQ Pride month in June. Jennifer Cast, VP of Specialty Recruiting, speaks at the LGBTQ Pride flag raising ceremony on June 1, 2018 at Amazon HQ in Seattle, WA. 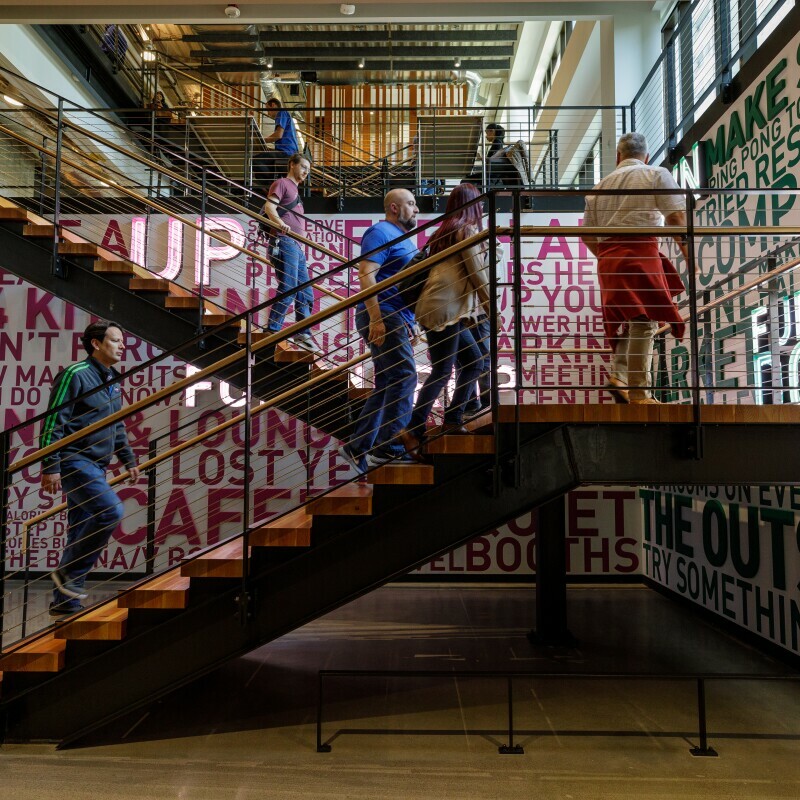 Amazon employees walk along the sky bridge between the Doppler building and the Amazon Meeting Center. The LGBTQ Pride flag is flown from the sky bridge to mark LGBTQ Pride month in June. Jeff Wilke, CEO of Worldwide Consumer, speaks at the LGBTQ Pride flag raising ceremony at Amazon HQ in Seattle, WA. The LGBTQ Pride flag over Amazon HQ in Seattle, WA to mark LGBTQ Pride month.